First of all, welcome to our newest follower David Sery! The success enjoyed by the Méhari soon enticed Citroën’s archrival Renault to produce a competitor to this little off-road vehicle. In fact, Renault already had something in its range that was close enough, the Plein-Air. It had been actually developed by the Sinpar company, but less as a true off-road as the Méhari was than as a fun beach car in the spirit of the Ghia-designed Fiat 600 Jolly. 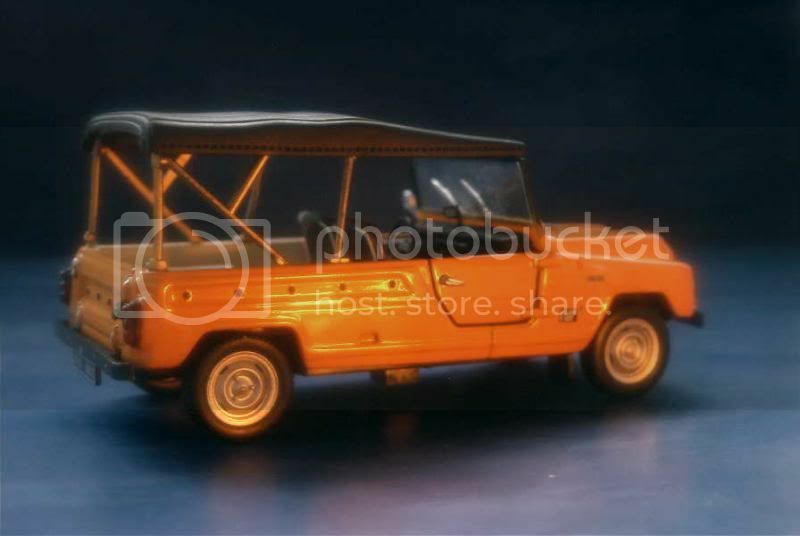 During the spring of 1970, Renault unveiled the Méhari’s true rival, the Rodeo 4. Once again, this wasn’t a genuine Renault design, its development having been outsourced to a little company from central France, Ateliers de Construction du Livradois or A.C.L. It was originally sold under the ACL name through Renault’s network. 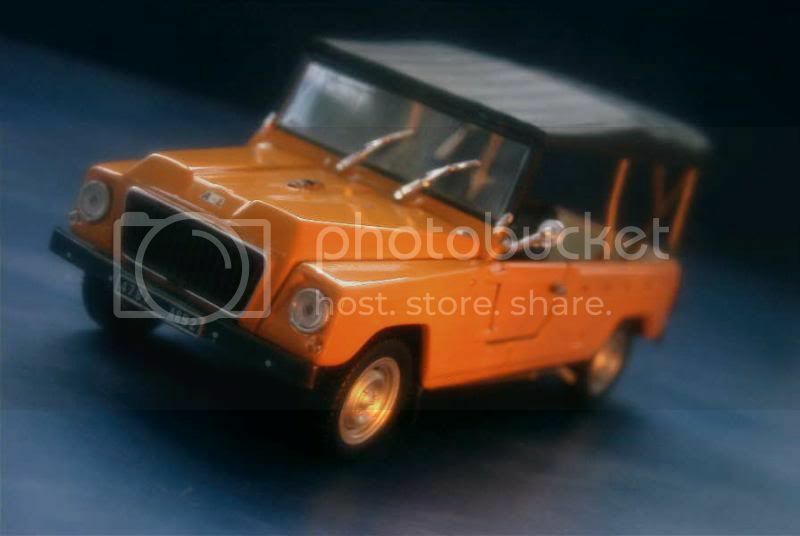 The Rodeo 4 was again based on the Renault 4, more precisely its tougher van version, but received a totally original plastic body. Its engine was the R4’s traditional water-cooled 845cc, 34 hp four. Though more powerful than the Méhari’s, it had to propel a substantially heavier vehicle than its rival did, even if at 640 kilos, it could hardly be called overweighed. In October 1972, a new model was added to the Rodeo 4. Designed with a lucrative army market for a light off-road vehicle in mind, the Rodeo 6 was based on the Renault 6’s chassis and powered by its stronger 1.1-litre engine, and later by the 1.3-litre of the largest R5s. Despite being a success in its own right, the Rodeo series always suffered from being an imitator of the Méhari, which it was never able to dethrone. Sold from model year 1977 under the Renault logo, the Rodeo was produced two years later by a renamed Teilhol company (from the name of ACL’s director, and though the Teilhol name was unofficially but commonly used from the very beginning of the car). In September 1981, the Rodeo 4 and 6 were replaced by a single car simply called the Rodeo, even if a Rodeo 5 moniker was sometimes used to avoid any confusion. More compact and fitted with a modern body, the new offer failed to seduce its potential buyers and was withdrawn in May 1986, when it disappeared without any successor. 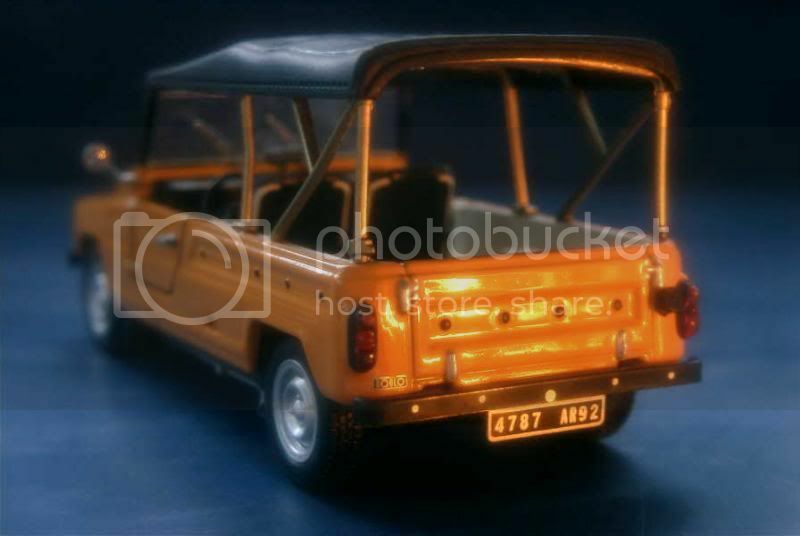 The Coursière was one of many models offered by Teilhol in the Rodeo range, and Universal Hobbies has proposed a very accurate and tasteful die-cast of this car. My rating is 15/20. It's been a while we haven't corresponde !!! This sub off road truck is ideal for sight seeing or any outdoor activities. Great striking Orange colour & great collection too. Most of the original Teilhol were white, but orange was also common and look so Seventies-like now!